Fix a malfunctioning Cuisinart coffeemaker yourself. 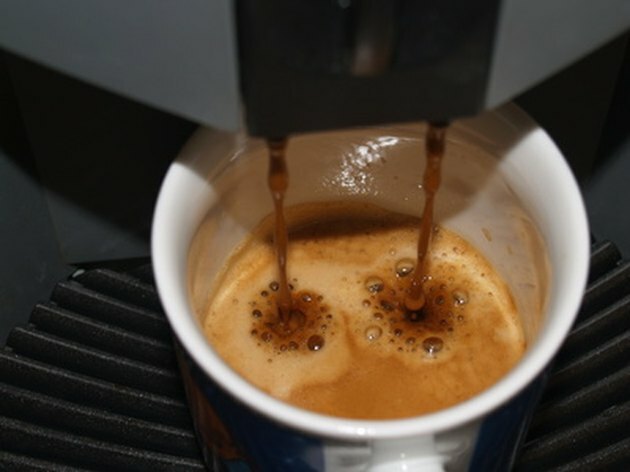 Unplug the coffeemaker so the water inside can cool before you try to identify problem areas. Wait 10 minutes before opening the cover. Open the top of the machine and check for correct placement of the filter. If water is not draining out of the filter basket and into the coffeepot, a misplaced filter may be the cause. Other causes of waterflow blockage to the coffeepot are coffee that is ground too finely, too much coffee added to the filter or coffee that has worked its way under the filter. Try grinding your coffee to a coarser texture, reduce the amount of coffee that you put in the filter, and check for ground coffee beneath the filter basket. Press the button for Self Clean if the coffeemaker has turned itself off instead of functioning according to your programming, because Self Clean cancels any other setting. To improve the taste of your coffee and to allow the machine to run more efficiently, clean out built-up calcium when the Self Clean light flashes on. Use a solution of one part vinegar to two parts water, and fill the water reservoir with it. Operate the Self Clean button and wait for its light to glow, then turn on the coffeemaker from its flip switch. Listen for five beeps and the machine to turn off, at which point you can restart the coffeemaker. Watch to see if the Self Clean indicator blinks again, which means that you should repeat the cleaning procedure. If that light does not come on, cycle cold water through the appliance and return to using it normally.